A former train station building is the headquarters, performance space, and classroom for the Hudson Valley Writers Center. In 1996, the board of directors and staff of the Center completed restoration of the station building, which is listed on the National and State Registers of Historic Places. 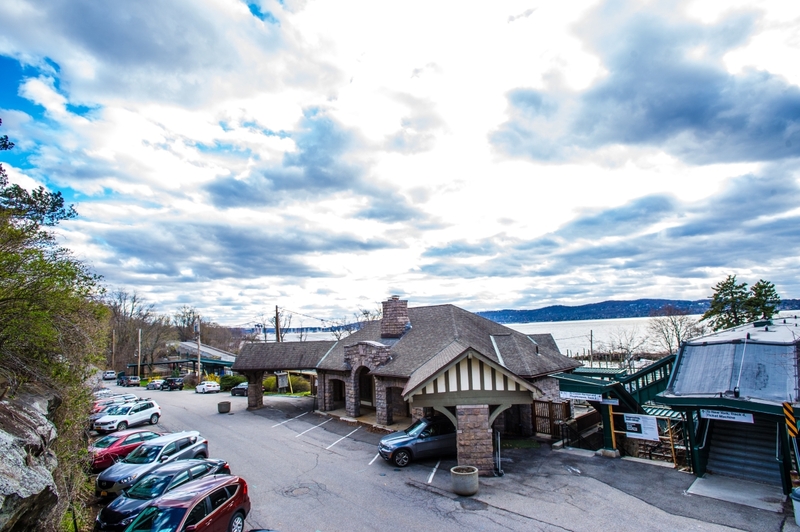 The Preservation League of New York State selected the Hudson Valley Writers Center to receive its prestigious Excellence in Preservation Award for the restoration in 2005. Many generous donors contributed to the building restoration including poet Linda Ashear, whose funding made it possible complete some of the most recent preservation. Following is an excerpt from the April 2001 edition of The Chronicle, a publication of the Historical Society Serving Sleepy Hollow and Tarrytown. 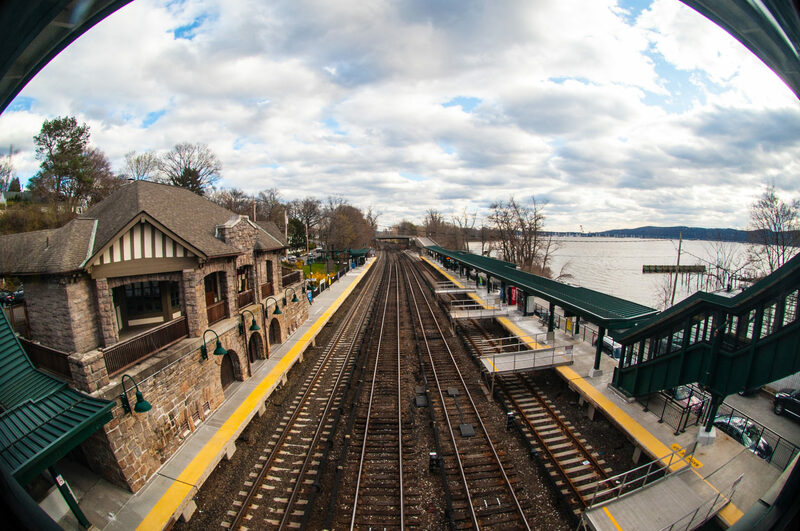 As early as 1903 the Philipse Manor Company was holding discussions with the railroad about constructing a station on the Hudson River Railroad line in the Manor. In fact, a 1903 company pamphlet depicts an artist’s rendition of the proposed station. Detailed site drawings were first created in 1910 and by January 1, 1911 the New York Herald reported that the station and its approaches were under construction. The Company deeded six small parcels of land near the tracks and gave the New York City and Hudson River Railroad a perpetual right of way along the tracks. With the same spirit of cooperation between the railroad and the Company, the station was completed costing several hundred thousand dollars. It was reported in 1913 that, “In token of this cooperation the great bronze eagle from the tower of the old Grand Central Station has been established on the riverfront esplanade. 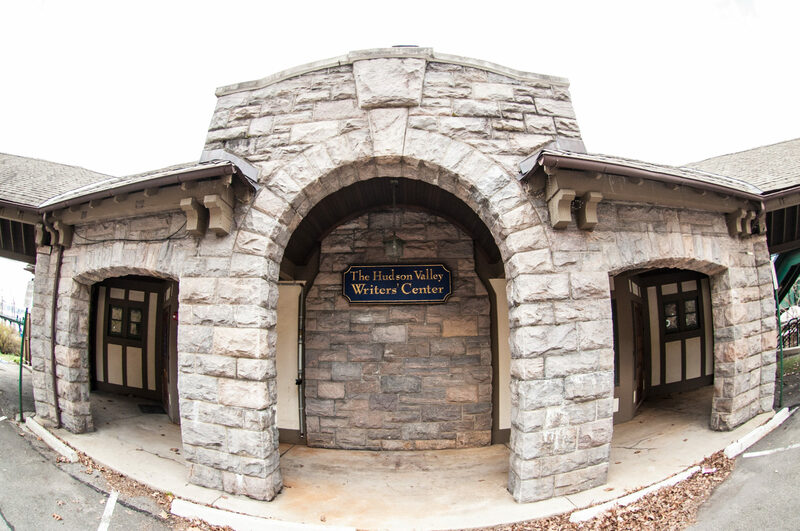 → Read more about the history of the Hudson Valley Writers Center here. I love the building looking out over the Hudson River. It was positively bizarre to exit the train and find my way just up a flight of stairs to the dark wood and big windows and moody beauty of the Hudson Valley Writers Center in the restored Philipse Manor Station, as though I had stepped from the known world into an alternate and mystical reality. I loved it. Reading at HVWC was one of my absolute favorite experiences doing a poetry reading. It was a spectacular afternoon… The community was welcoming in the extreme, and Philipse Manor Station is one of the most magical locations I know for literary events, up there with the Robert Frost Farm. 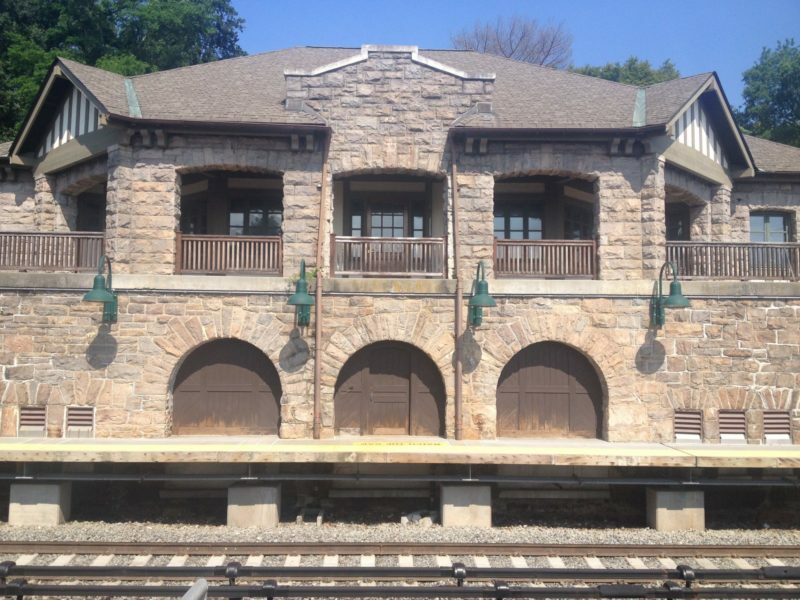 The Philipse Manor Station, built about 100 years ago in the Tudor revival style, is one of the most elegant reading venues you could imagine; heavy granite, stucco, and wood overlooking the Hudson River, it does feel like something from a lost world, something half-dreamed or remembered, and something that means we’re trying to preserve such dreams in our poems. I love it when I’m reading at the podium, with or without a mike, and the train goes roaring by.